The technology advancement and marketing automation have given rise to an endless amount of tools to marketers which makes their life better and easier day-by-day. Being a digital marketer it often feels hard in picking up the right tools and sometimes end up using multiple tools for completing one particular task. Choosing the right tool for work and getting things done in a minimal amount of time serves as the effective key in increasing one’s productivity. 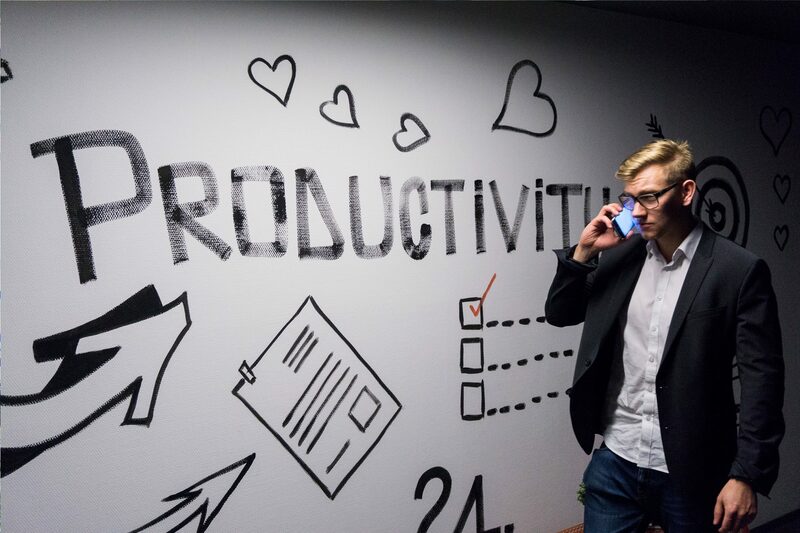 I would like to introduce a list of 5 productivity tools for digital marketers, which includes everything from SEO (Search Engine Optimization) insights to Analytics reports from tracking events to scheduling your content. With Quill Engage, you no longer have to be an analytics expert to understand all those technical information offered by Google Analytics for your website. It is a free Google Analytics reporting tool where it simplifies analytics data such as pie charts, numbers, graphs into simplified narrative reports. With its powerful artificial intelligence, it always keeps an eye on your analytics data and provides you with a detailed Google Analytics Insights. On setting up quill engage with your analytics, it creates and sends Google Analytics reports right into your email on both weekly and monthly basis. 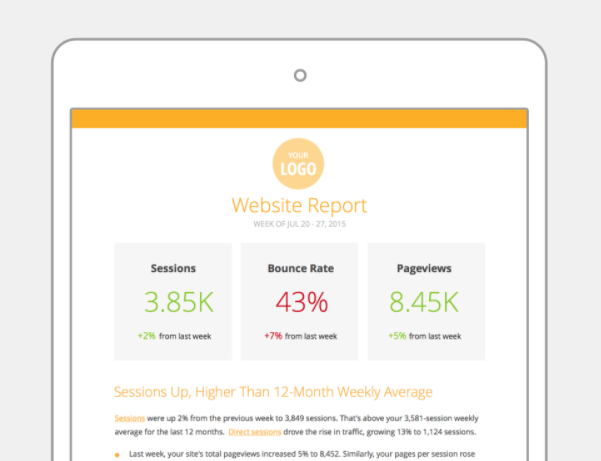 With comparison reports of the previous week, you can quickly analyze your website performance and with the custom delivery feature, you can customize your reports with most important KPIs that matter most for your business or clients website. 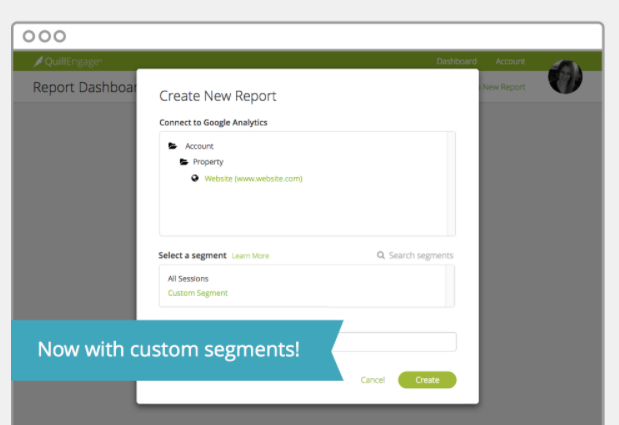 With one step hassle-free integration process with your website, quill engage starts sending reports in the most simplified and easy to read format. Using its AI technology powered by narrative science, it produces most important and relevant information on your website. Its core feature is to send performance indicators to its users such as engagement in content, insights of Google Adwords campaigns and it quickly analyses whats happening with your website’s content and gives you actionable steps to improve your performance. CoSchedule is not just the another editorial calendar you can find on the internet. It is definitely the #1 marketing calendar as it claims, where you can organize everything in one place and schedule content for the future. So What is an editorial calendar? Do you really need to have one? If you are a serious content marketer and dealing with multiple content sharing platforms, scheduling content for upcoming week’s or months is one smart decision you can never miss out. On scheduling your social media posts directly in your calendar, you can fully automate your social sharing by a tool called Requeue, It is a data-driven way to automatically repromote the best content. This helps you to spend the maximum amount of time on creating quality content rather than scheduling it manually. Whether it is a blog, social media posting or large project, coschedule is the only tool you are going to need, with its dozens of awesome features organized in one place, makes it the best editorial calendar for all your content marketing efforts. Using analytics, you can track the performance of your content and with campaign reports gain deep insights of your content. If you are a digital marketer especially working in E-commerce space, you would have been familiar with event tracking using Google Tag Manager. Digital marketers may often feel hard in understanding the concepts of GTM without knowing to code and in most cases, one needs developers help to track events like add to cart, checkout made and product clicked on the website. Action Recorder fits right in, a simple point click tool to track events and form submits on your website. The below example is on recording checkout made action using Action Recorder. To integrate Action Recorder with your website, all you need is to paste the small piece of JS code on your website and setting up an event is not going to take more than a minute. 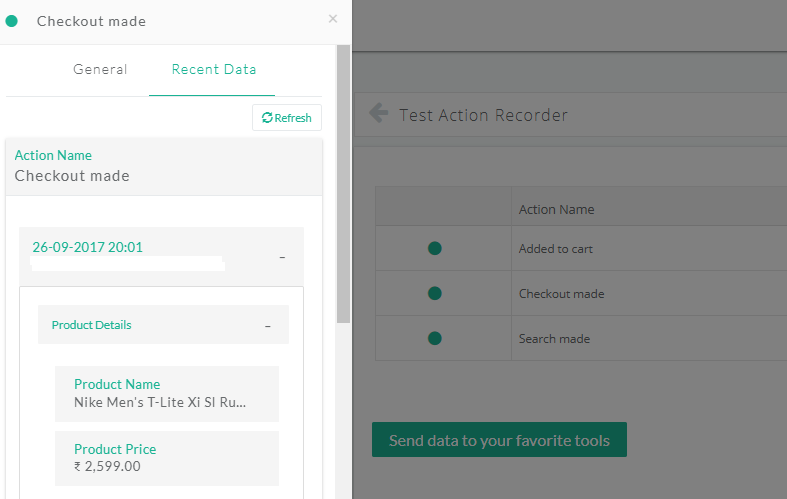 Once you have set up tracking on your website, it’s time to test Action Recorder. On clicking test button for checkout made event, the data of a specific product with its chosen attributes as product name and product price gets displayed on clicking recent data. The above image is the result of Google Analytics event tracking. With integration feature, you can send your data to 100+ marketing tools like Google Analytics, Facebook, Drip and much more. Sending data to ad platforms helps you automate the process of creating a custom audience and setting up dynamic remarketing ads. Using Action Recorder you no longer need developers or any tech persons help to track events on the website and the best part is that no coding knowledge is required to use it. SEO Quake is a free SEO plugin that is compatible with Google Chrome, Mozilla Firefox, and Opera. It provides you with full-page SEO audit, keyword density and powerful insights on not just for your own website but for any possible page on the internet. 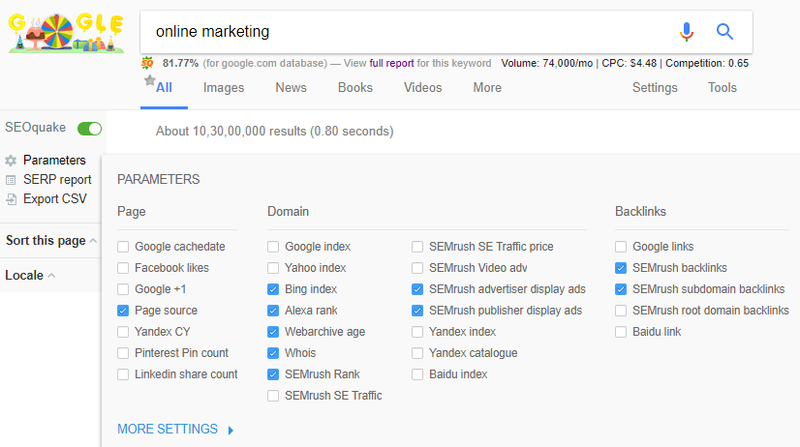 On activating the plugin, it gives keyword difficulty score for any particular keyword with its monthly volume, CPC( Cost Per Click), and competition score. You can customize parameters from the wide range of options which are important for you or your competitors business. With full-fledged SEO data of the websites, you no longer have to use multiple SEO tools to get different insights. The save as CSV (comma separated values) option lets you download the SERPs (Search Engine Results Page) that matter most. With all important SEO insights available in one place for completely free and constantly updated real-time insights of any website on the internet, SEO quake is truly a the must use SEO tools. Mention is a real-time web and social media monitoring platform which gives you live updates on what people are talking about your brand and products anywhere online. You can quickly engage with the customers that are interested in your products by responding to their queries and retweet them directly from the mention dashboard. Its core feature is to monitor brands and social media platforms. With brand monitoring, find topics that interest your customers and compare your brand with competitors. Learn and understand how your competitors engage with their customers. 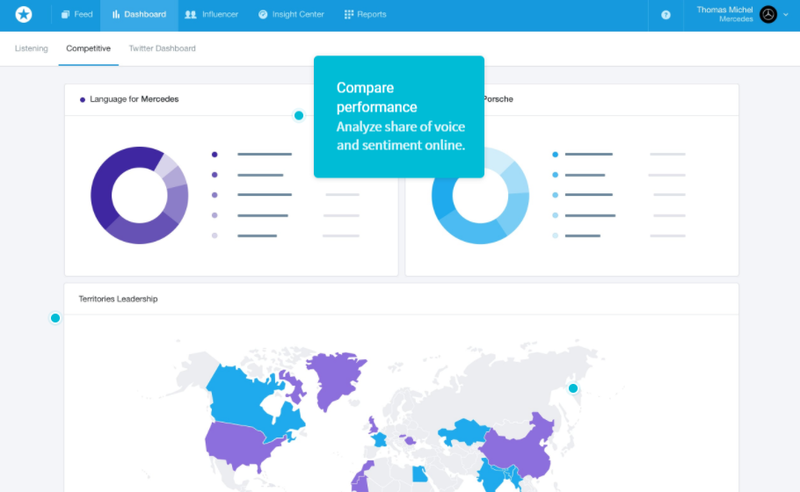 Gain deep insights of your campaigns performance and export customizable reports that matter most for you or your clients business. Social media monitoring tool helps you create powerful brand awareness for your business and constantly monitor competitors social media updates. Find social media influencers using keywords relevant to your industry. Reaching influencers helps to popularize your brand among their users. 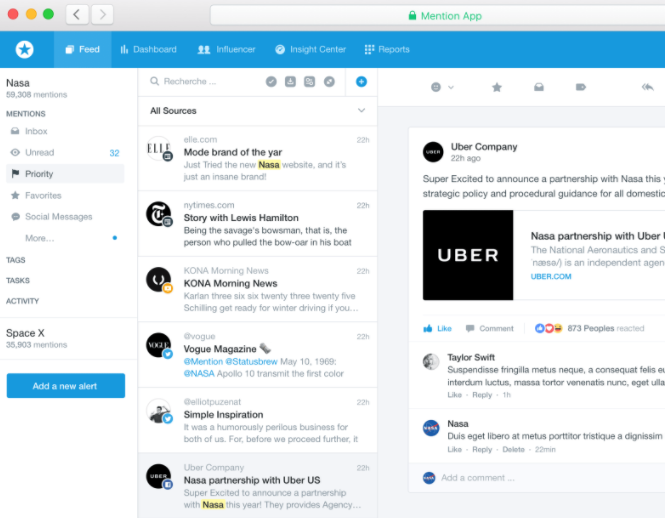 On integrating Facebook, Twitter, and Instagram reach out and engage with your customers directly from the dashboard.